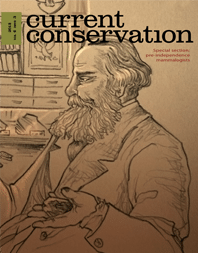 At first glance, an issue on pre-independence mammalogists seems neither current nor about conservation. But it is the work and passion of these early naturalists that provides the foundation for our research in ecology and inspires us towards our conservation goals. designed not only to communicate about recent findings in conservation science, but also to serve as a platform for young researchers to learn to write for the public.